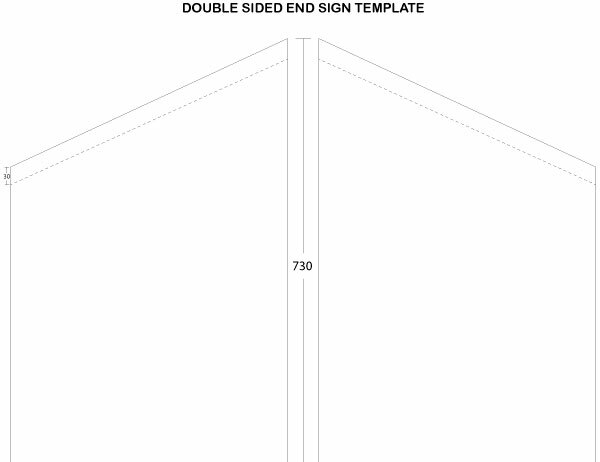 FINISHED SIZE 2000 X 600 DOUBLE SIDED BANNER WITH 100mm POCKETS. 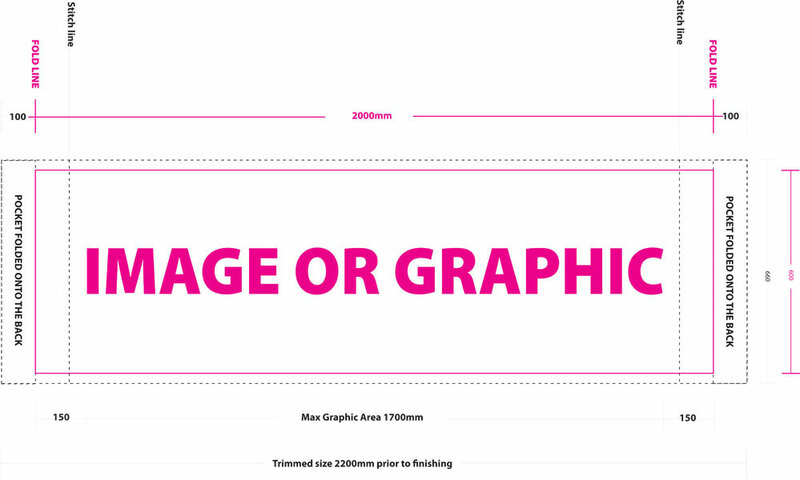 Add 50mm + pocket size to avoid sewing through graphics on the front or covering the graphics on the back. Add 30mm bleed on the sides if hems are required. No bleed if trimmed on the sides. Add 30mm bleed for rope & hemmed edges. Keep small text & graphics 50mm clear of finished size to avoid eyelets.